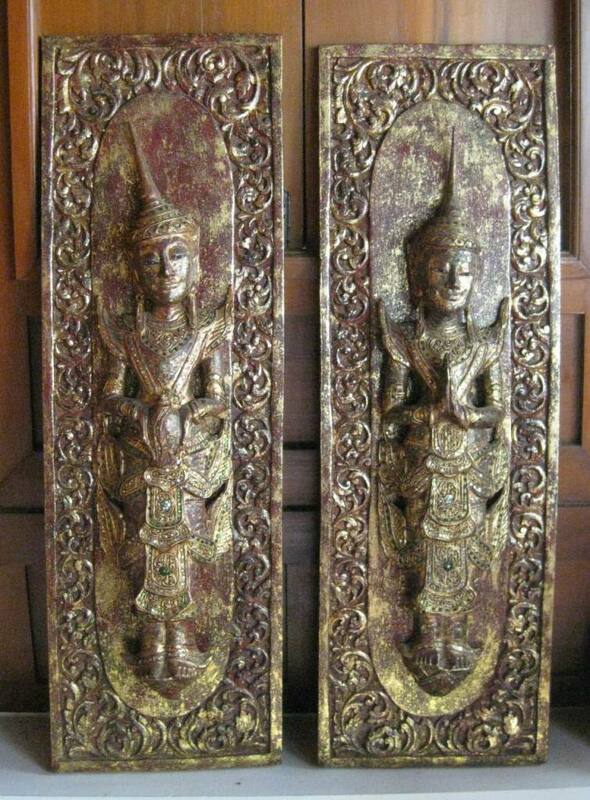 Pair of Hand Carved Teppanom Angels Panels. 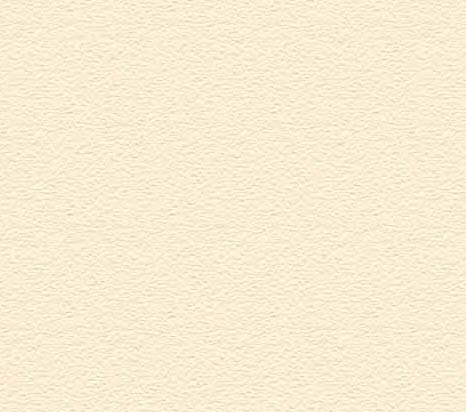 Available in other color and finishes. 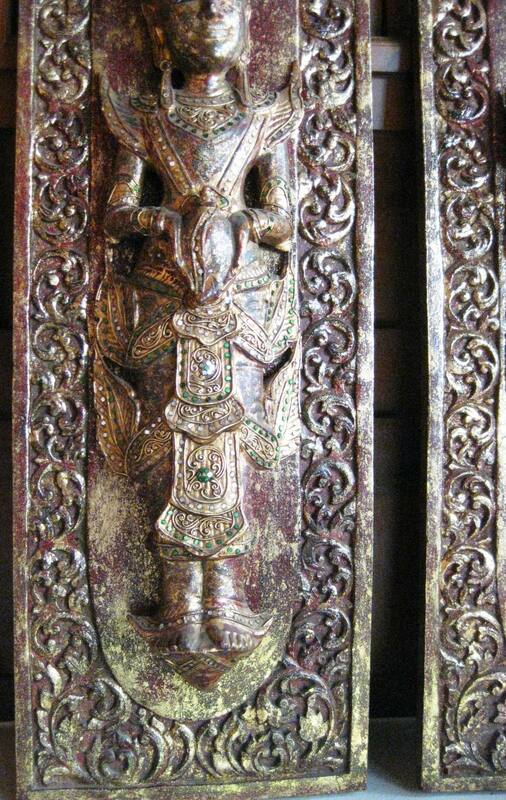 Intricately hand carved in Thailand from acacia (monkey) wood in rustic antique finish. Measures 44" high, 14" wide, 5" deep each panel. Weighs approx 40lbs each. 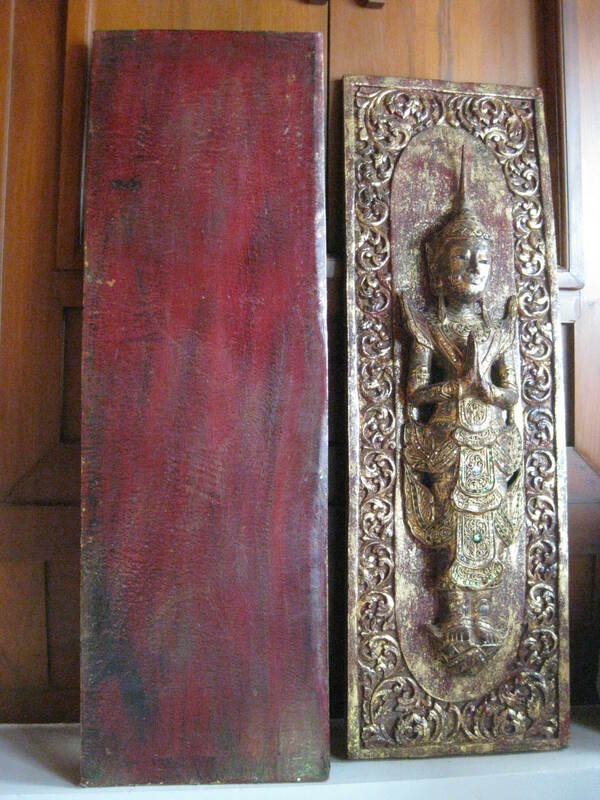 Color and weight variation due to the nature of the wood. Please scroll down to see all the details. Can be customized to size and finish.